Sponsored posts–a post where you promote a company or product and get paid for it–is one of the main sources of income for bloggers. But how does one actually GET sponsored posts?? I remember my very first sponsored post was after I’d been blogging about eight months (the first six months being incredibly aimless) and it was for Wendy’s. I was in charge of a blogger meet up at a Wendy’s where we would try one of their new menu items, hang out and chat, and then blog about it with a $7 gift card giveaway. (Even back then I was like “who is going to enter a giveaway for a $7 gift card? !” but you’d be surprised!) I don’t remember how much I got paid to do it…but I was ecstatic that a company actually wanted to PAY me. Well fast forward to seven years later and I’ve done over a hundred sponsored posts and my rate is far more than it used to be. Companies are catching on more and more to the value of having bloggers and social media stars promoting their products. Why? Because we are the ‘real’ people. We lead normal lives and need products that normal people want to use. But because bloggers and social media stars have spent a lot of time building up their following (which takes a long time and a lot of work) we have the ability to reach a lot of people, and people who have followed our blogs for a long time and trust our recommendations. Want to be one of those bloggers? 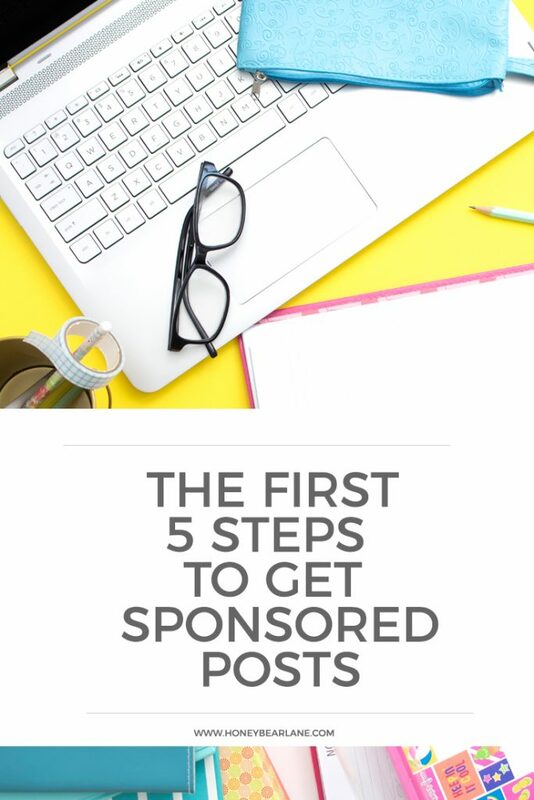 Here are 5 steps to get sponsored posts. 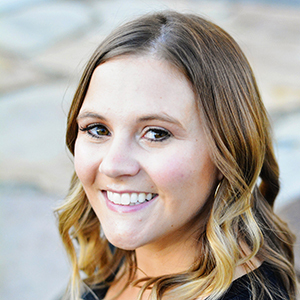 When you first join a site, you will want to complete your profile as much as possible because that helps potential advertisers see everything you have to offer. Having a huge following isn’t necessarily the thing that companies look for–sometimes they want bloggers from a specific niche that have a loyal following. And establishing a loyal following is the best thing you can do! Step 2: Check your email. After you join these sites, you can’t just sit back and wait for the offers to come rolling in. First of all, check your email at least once daily! I think that responding to emails quickly is a huge reason I have gotten so many sponsored opportunities. Step 4: Know your value. When the time comes that you do engage with a brand, you will need to present yourself in a professional and valuable manner. Take the time to create a media kit–a PDF that says a little bit about you and your blog, your current reach and numbers, and any places you might have been featured. And you can also include a rate sheet if you want but just be sure to know your current rates. A general rate rule is $100 per every 100,000 pageviews you receive. However you can feel free to charge more as you become more established, get a larger social media following, and have been working for awhile. Step 5: Do an excellent job. When you land a sponsored gig, do everything you can to show that you are worth working with. This mostly means that you do everything the brand asks and completing everything by your deadline. Brands normally ask for certain things within the post (disclosures, link backs, good faith in their product) and then social media promotions with proper disclosure. If they are asking something you don’t feel comfortable with, don’t be afraid to negotiate the terms beforehand and make sure you read any contracts they want you to sign. And ALWAYS use your OWN content and photos (photos you have purchased and photos that are free domain are okay.) And remember, when you do an excellent job, your clients will keep coming back! You will have to work for low rates at first. Sometimes you might work for trade. Doing this at first will develop a track record. Sponsored and ‘review’ are not the same thing. Sponsored posts are posts where you are promoting the product and speaking well of it. If you don’t think you can do that, you shouldn’t accept the contract. You really should only promote products you really like anyway. A review is usually something you do in exchange for the product and you can state you honest opinion. Always give your disclosure. Usually at the top, sometimes at the bottom of your post you will say something like “I was sponsored by XYZ company but all opinions are my own.” And social media posts need to have “ad” or “sponsored” after them. If you do these things from the very beginning, you will establish a really good track record and companies will be more inclined to hire you. At some point you might start getting inundated with sponsored requests. At this time you will have to decide if going for a more sponsored blog is your goal or if you prefer to keep them to just once or twice a month. Either way is okay–just different. 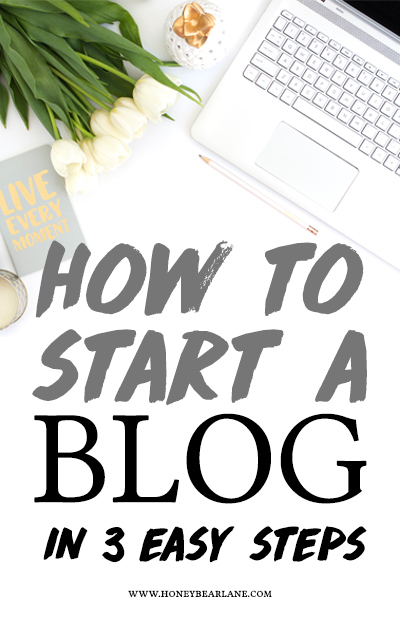 Want know how to start a blog? Here’s a great 3-step tutorial for that!